Matching the right pet with the right family is at the heart of every adoption. We believe Every Animal Should Enjoy Life so we are delighted you have decided to open your heart and have decided to adopt. Below we outline how to adopt a shelter pet. We take adoptions very seriously and make every attempt to place each pet into a home willing to make a lifetime commitment. Our staff is ready to help you find the pet of your dreams and answer any questions you may have. Most every pet adopted will be spayed / neutered, microchipped, and vaccinated. Read accompanying documentation to make the transition as successful as possible. Get started today! The sooner you submit your complete application, the sooner your new love can return home with you. We encourage you to submit an Online Application even if you have not yet found the pet you wish to adopt. 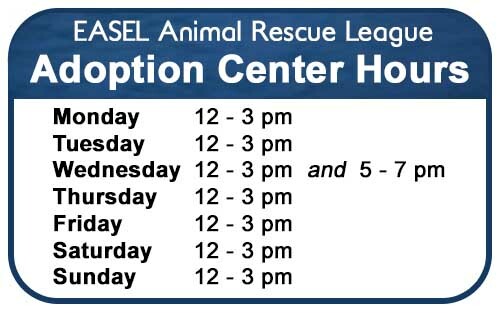 Visit the EASEL Adoption Center to meet an Adoption Representative who is knowledgeable about each animals ‘ personality, behaviors, training experiences (for dogs), and needs. We’ll answer your questions and provide advice on integrating your new family member into your household. You will greet and interact with your potential shelter pet. It’s an opportunity for the entire family to get to know your new furry friend on a personal level. After confirmation that open items have been addressed, requirements met, your questions answered, and forms signed, the application will be finalized. You will receive a phone call or email with your approval status. The time has come! We congratulate you for choosing adoption and celebrate your pet’s transition from a shelter animal to a family member! Adopters must be age 18 or older. College students living in dormitories cannot adopt. Landlords must approve pet ownership and maximum number of pets. Adoption matches are based on the animal’s needs, behaviors, temperament, physical environment, breed, interactions with family members and/or other pets, household and dynamics, and any other extenuating circumstances. All family members are encouraged to be present and participate in the adoption process. All adults must be aware of the potential adoption. Adoption for another person (not present during the adoption) is strongly discouraged unless it is a pet for a child within the household. Adopters must have a working telephone number or cell phone in their household. Adopters must provide a work number or alternate contact telephone number. Adherence to all laws and ordinances are required. Current household dogs must meet and become acquainted with the potential new dog prior to adoption approval. We strongly recommend appropriate facilities to contain pets (e.g. evidence of fenced yards, etc.). Veterinarian checkups are required for all animals on a regular basis. If adopters already own a pet(s), proof of evidence of “regular” vet checkups and that they have been spayed/neutered is required. 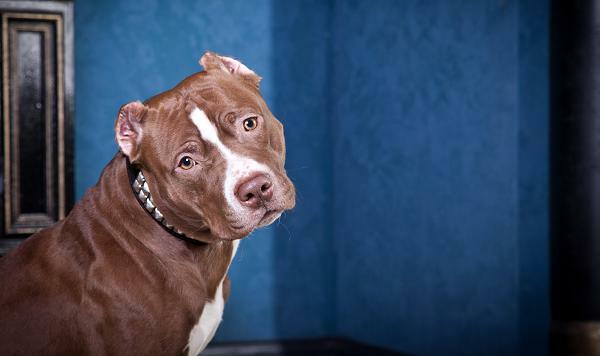 Veterinarian visit is required for each adopted animals within 14 business days of adoption.